On Friday night CAPO launched its 2016 season at CMAG with a preview of this year’s artworks. CAPO Patron Paul McDermott came to insult the crowd and we all got a new season of CAPO off to a warm-hearted start. The media release attached to this email provides detail about CAPO’s 2016 Award Round now open, as well as the release of tickets for the CAPO Auction and Masked Soirée, to be held at CMAG on Saturday 22nd October. 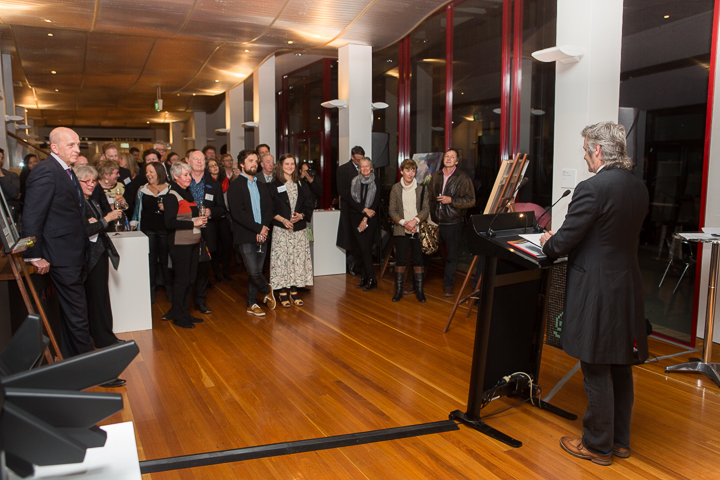 Paul McDermott holds 2015 launch crowd – this year’s image to follow! As always, you can get more detail on all CAPO events from the CAPO office (capital.artspatrons@gmail.com), as well as hi-res images and arrangement of interviews.